Pieno, a switch that pushes the boundaries, for the big-hearted and the open-minded. Uncluttered design with a distinctive jumbo dolly and an overall slim profile, Pieno has pushed the boundaries of the switch design paradigm. Each dolly fills its space, reaching the edges like no other. The maximized space of the integrated faceplate has enlightened the clean and clutter-free design, and seamlessly fits in to any space. Bold straight lines accented by small curves bring sleekness to the muscular design language. Pieno is yet another switch to aspire to among the wide spectrum of Schneider Electric’s design excellence. Conceived as the perfect combination between form and function, Pieno presents an overall slim profile despite the jumbo dolly, thanks to the innovative SS Mechanism. The 3-degree short throw switching angle is half that of the conventional rocker-type switch, confirming Pieno’s status as the “Slim Rocker”. The flutter-free switching reduces vibration and sparks, and the switch is operated by a softer press, which delivers a “Sure Click” plus improved durability and reliability. PerfectFace® Switch Architecture consists of two patented designs that bring unprecedented integrity to the moving parts in rocker-type switches. The dollies and surround are integrated into one piece, removing one installation step while keeping a consistent distance and perfect alignment between dollies and surround. 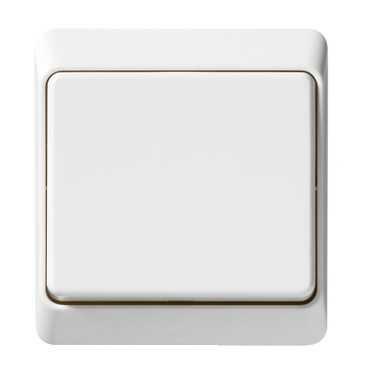 The grid plate is uniquely designed to contour the wall to minimize gaps between the switch and an uneven wall after installation. Moreover, excessive paint on the mechanism can be totally covered by the integrated faceplate to maintain a perfect wall finishing. PerfectFace® Switch Architecture is the perfection of aesthetic value and installation efficiency. White-on-white locator The white-on-white locator merges seamlessly with the white dolly. Unobtrusive by day, the locator shines with a comforting glow in the darkness.